I've slashed through the peach horizontally, vertically, diagonally, through the stem and through the fruit. I've tried the branch, even tried to cut down the tree. I get a zingy noise and the peach vibrates a bit, but doesn't fall. Please help, I want to save and go to bed!... To core a pear, slice it in half, starting at the stem and cutting down to the bottom. Use a melon baller or a measuring spoon to scoop the core from the middle of the pear, then use a sharp knife to cut the stem from the top of the pear. If you like, you can then peel the skin from the pear. If you want to leave the pear whole, peel it first, then scoop out the core from the bottom of the fruit. In this part of the tutorial, we’ll cut down the peach further, making a peach slice. 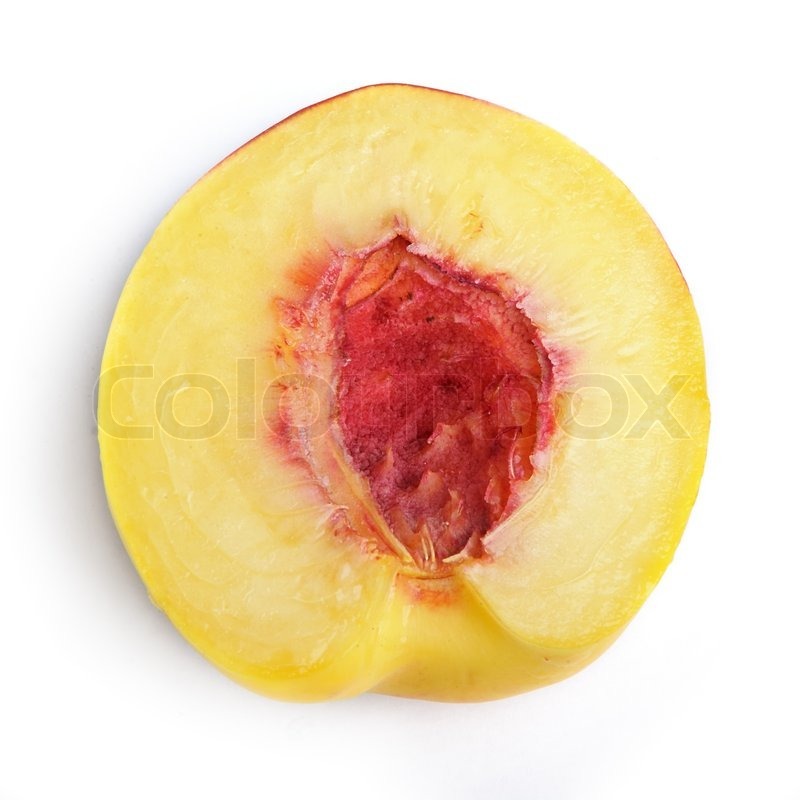 First, take a copy of the half peach without the seed. As you remember, the half of the peach contains three parts: the outside shape (orange color), the middle shape (yellow), and the … how to break into a caravan 7/09/2011 · Once half the peach has been sliced vertically, rotate the peach in your hand and cut across those cuts. At this point some of the pieces will naturally come loose from the pit. Holding the peach over your bowl, use your thumb to push the peach pieces off the pit. Hold each half of the cut peach and twist the halves in opposite directions. This action will loosen the pit. Pull the peach halves apart and remove the pit. Most peaches sold fresh in the U.S. are cling-free, meaning the pit will pop right out; if you've happened upon a clingstone peach, you may need to dig the pit out with a spoon. Just a small suggestion. I think using a canned peach half would be easier and provide that shine a yoke gives. Find the natural indent of the peach, start at the stem and cut the peach in half. With your hands, gently twist each side of the peach in opposite directions and the peach should pull apart in to two halves.